Conforms to EN360, EN364. Retactable lifeline made of wire rope. Stored on a reel within a protective housing. Reel is spring based to wind the lifeline in. Inertia brake mechanism. Colour Black. Material. Steel rope 10m. Max load 100Kg. 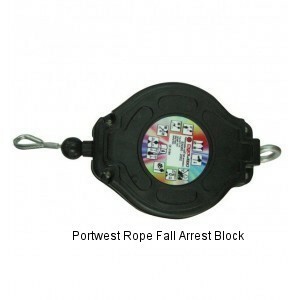 Constructed using durable nylon webbing 3.3m long with snap hook and steel carabiner. Performs heavy duty tasks in narrow spaces. 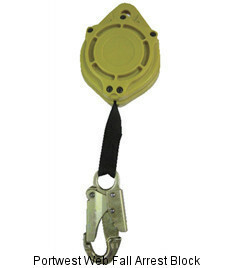 2 metre retractable webbing lifeline including two standard carabiners and shock absorber Quick-action brake system that arrests the fall within centimetres.